I am the wife of a career soldier and the mother of four. I am registered with the Cherokee Nation of Oklahoma and, like my ancestors, have always been proud of my Cherokee heritage. I have been studying Cherokee history and genealogy for a long time and I am interested in anything Cherokee, whether it involves the historical Cherokee Nation or the Cherokee people of today. I have been fortunate to have been mentored in Cherokee history and genealogical methods by David Cornsilk and the late Jerri Chasteen and I hope to pass on what I have learned to others. I adhere to the Standards for Sound Genealogical Practices and believe one should only claim what they can prove through solid historical documentation. I spoke with Ms. Barnes today. She is 7/32 Cherokee, has 10 ancestors on the Dawes Roll and many other relatives who are Cherokee including her grandfather (7/8 Cherokee) and mother (7/16 Cherokee). Ms. Barnes is active in Cherokee affairs. 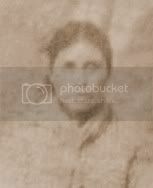 My Great Great Great Grandma Polly’s family and descendants include many college graduates, decorated soldiers, accomplished athletes, and nationally known poets, writers, and artists yet we are all just simple people who are a living legacy to a woman who traveled the Cherokee Trail of Tears over 170 years ago. I hope she would be proud of us all. Every photo either contains a family member or descendant of hers. Because of a family emergency, Ms. Barnes has not been able to weigh in on the Elizabeth Warren saga over the past two weeks. I am writing this letter in the hope it will help end the current situation you have found yourself in. It seems you are being ripped apart in the media because of your claim of Cherokee ancestry and you don’t like it. According to a recent article in the Boston Globe, you believe your opponent is “creating a distraction” by “ridiculously” attacking you “with questions that have already been answered.” It seems you would like the “attacks” against your claims of Cherokee ancestry to stop so I thought I would offer some advice on how to make it stop. While you cling to a family story and the inaccurate report that ONE document was found that supports your claim, we real Cherokees understand that those things mean nothing. You see, we Cherokees have lots and lots and lots of documentation supporting our claims of our ancestry. Our Cherokee ancestors are found on every roll of the Cherokee Nation (30+ rolls!) dating back to before the removal and in all sorts of other documentation, including but not limited to claims against the US government for lost property; the Moravian missionary records; ration lists before and after the forced removal, etc…yet your ancestors are found in NONE of those records. But, your ancestors are found in plenty of historical records, and every time, they are found living as white people among other white people. Never are your ancestors ever found living among the Cherokees. Never, never, never, never…….yet you claim they were Cherokee…. So, Ms. Warren, you see, it is not just your opponent who has questions. We Cherokees have questions too and those questions have yet to be answered by you. You see, for us Cherokees, this is not political. This is about the truth. You have claimed something you had no right to claim — our history and our heritage and our identity. Those things belong to us, and us alone. These are not things we choose to embrace when they benefit us and then cast aside when we no longer need them, but that is what you seem to have done by “checking a box” for several years and then no longer “checking” it more recently, when apparently you no longer needed it. Several people who are experienced researchers in Cherokee genealogy have been working together exploring Elizabeth Warren’s ancestry. They have uncovered many documents that, combined, paint a very clear picture that Warren descends from white people who had no connection whatsoever to the Cherokee Nation. These documents will be posted soon. Update: Twila Barnes was interviewed on the Howie Carr Show this afternoon. Unfortunately, the embeds are auto-run, and since that annoys a lot of readers, you’ll have to go over to his website. Carr’s intro, which is right on the money, is here, and the interview is here [link fixed].